A cult classic in the making. 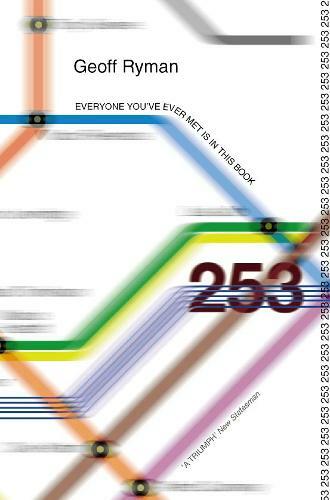 253 is the novel about everyone you've ever met and wished you hadn't or wished you could again. 252 passengers and one driver on the London Underground. They all have their own personal histories, their own thoughts about themselves and their travelling neighbours. And they all have one page devoted to them. This is the full text of the celebrated interactive novel that startled the Web when it first went on line. Only it can't crash, the downloading time is quicker and you can read it on the Tube, the train, the bus,, the plane, by foot - even by car, so long as you're not driving.